Nowadays, Google Chrome is mostly the choice of every person using the internet. There are many pro and cons using Google Chrome like it consumes a lot of memory. 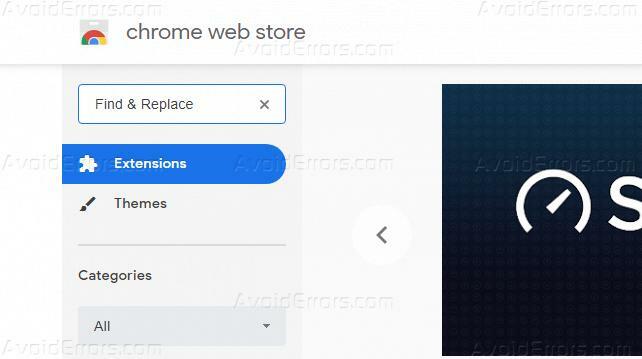 And if you are a blogger or work with code using Google Chrome, you will find one more interesting and very useful feature missing that is Find and Replace. You can normally find the contents on the page using find option but there is one issue that the Find option doesn’t search within Input filed like comment boxes in the page or data we are entering in the Forms opened in Google Chrome. In this article, I will explain how we can use Find and Replace feature using a Google extension called Find & Replace. Select Extension and search for Find & Replace press enter. This will search for the extension and shows the results. Click on Add to Chrome button. This will show up a pop-up, click on Add Extension. Once added, now you can see that extension has been added to Google Chrome. Now you can use this tool to Find and Replace the content on any page, code or Inbox. Click on the extension Icon and enter the term you want to search and then enter the term that you want to replace that with. You can replace using one by one or you can replace all of the searched text using Replace All feature. By using this extension you can save a lot of your time when it comes to replacing the content of your website or code of your website.